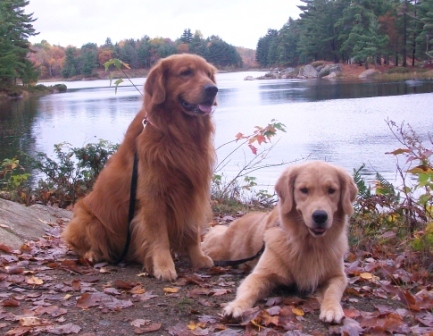 Autumnmist Goldens is a small kennel located in Gravenhurst, Ontario and we have been involved with goldens since 2005. We are involved in numerous dog related activities including Conformation, Obedience, ongoing training and hunting. We are members of the Candian Kennel Club and the Golden Retriever Club of Greater Toronto. All of our breeding stock have obtained medical clearances for hips, elbows, eyes and heart ..